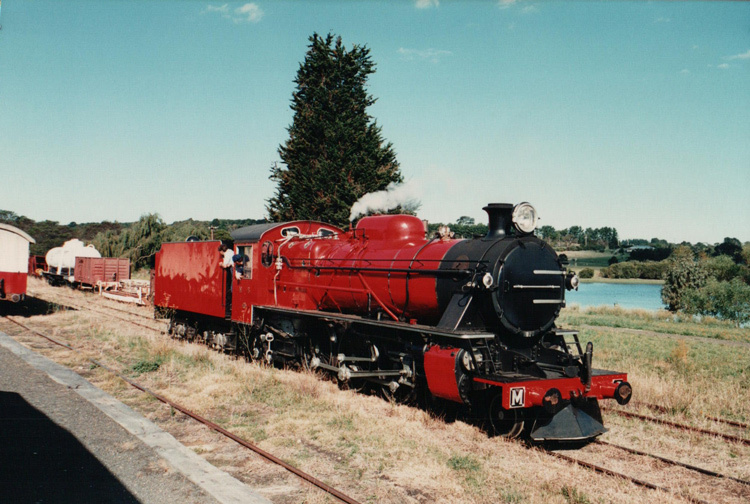 M6 is seen running around her train at Drysdale on a magnificent day in Easter 1995. M6 is now preserved as an operational member of the Bellarine Railway locomotive fleet. I've visited the Bellarine Railway many times over the years; one such visit during Easter 1995 included several hours chasing M6 along the line on a beautiful day. The scanned photo shown above dates from that visit. c Information provided by D. Price via email dated 27 January 2011.